Roland Appel is a master of his class. Having been enrolled in the school of ‘Dance’ for over 15 years, an expansive range of influence and experience has laid the foundation for him as both DJ and Producer. Appel has the unique ability to span across genres and generations; not only within a single session, but also with the strength and confidence that proves a true understanding of dance music, both past and present. In his musical beginnings, Roland Appel found himself in the German center of American musical heritage. His hometown of Munich was a major station for American GI’s who were stationed in Germany after the war. They brought with them Soul, Jazz, and Funk. These were among the variety of sounds Appel gravitated towards in his DJ-ing when he began in the early 1990’s; a free and exciting time in club culture, where one had the ability to express his/herself across a broad spectrum of music that made people move. “Everything was very open, it was possible to play at one gig Disco, Cosmic, Soul, and House altogether”. 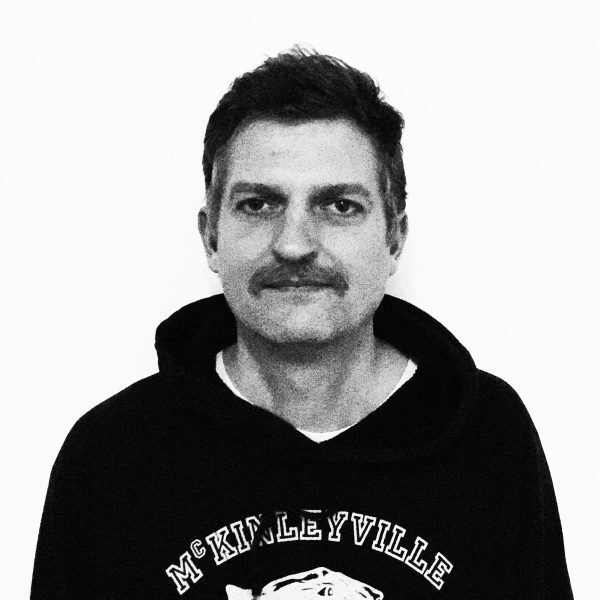 Pulling influences from American sounds, and the DJ’s of the United Kingdom, Roland Appel found his own unique style of DJ-ing, built upon variation and individuality and his ability to connect the dots within his large catalogue of influence. In 1995, Roland Appel began his production career. Forming Fauna Flash alongside fellow Munich musician Christian Prommer, the duo released their first EP “Butterfly Catcher” with Compost Records. They continued working together on a number of other projects, both as Fauna Flash and also as Trüby Trio with Rainer Trüby. The trio released a series of EP’s as well as the Full-length album “Elevator Music” on Universal, as well as a contribution to the famed DJ-Kicks series on !K7. Appel and Prommer also partnered with Peter Kruder as Voom:Voom, and would go on to release EP’s on Compost, and a full length LP “PengPeng” for Studio !K7. With each group, Appel toured through various cities and countries, spreading his sound both as DJ and also as a live act. reuniting of Appel with old pal Christian Prommer. The two have found their way back together, and “Return of The Aquarius”, is the creative result released on Life and Death . Over the next few years a couple of remixes and solo productions came along. Still stationed in Munich, Roland Appel continues to spread his wave of influence throughout his city, namely with a monthly residency, Sweetest Pain at Bob Beaman for 6 years . Since april 2017 he holds his new residency at the new BLITZ –CLUB in munich. “It is always different to play in your hometown, because you know the people much better… For me, my nights at BLITZ CLUB are the perfect way to introduce a wide range of underground music to the crowd, and to create the family vibe that a residency can have”. Within the walls of BLITZ CLUB and far beyond, Roland Appel continues to educate and elevate the dance floor, whether in his production, or with his DJ-ing. His unique blend of rhythm and harmony, push and pull with the perfect tension to keep the people moving.